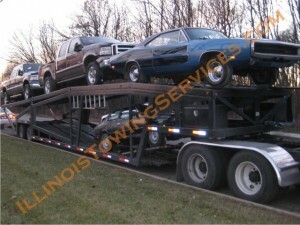 Illinois open car transport is a much less expensive way of car moving than enclosed car transportation. The main reason behind the 50% to even 100% higher costs of the enclosed car transport and its lower popularity is a significantly higher number of open car carriers on the roads. There are of course some risks involved and you should make a right decision when choosing an open car transport over the enclosed car transport. You have to remember that while using open car transport the vehicles are constantly exposed to weather conditions; it’s pretty much the same as driving a car on your own. Open car transport using larger trailers / double-deckers that can carry more vehicles at once are in most cases the most cost-effective option. However, they might have difficulty in navigating through the residential areas, thus requiring you to meet the tractor trailer operator in an open area for both; the loading and / or unloading of your vehicle. This could present difficulty if your vehicle is not operational. 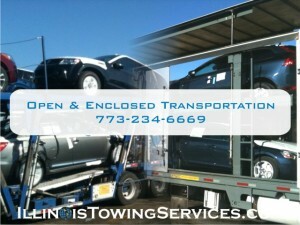 The smaller the carrier the higher the premium could be for your open car transport, but this service is usually quicker. 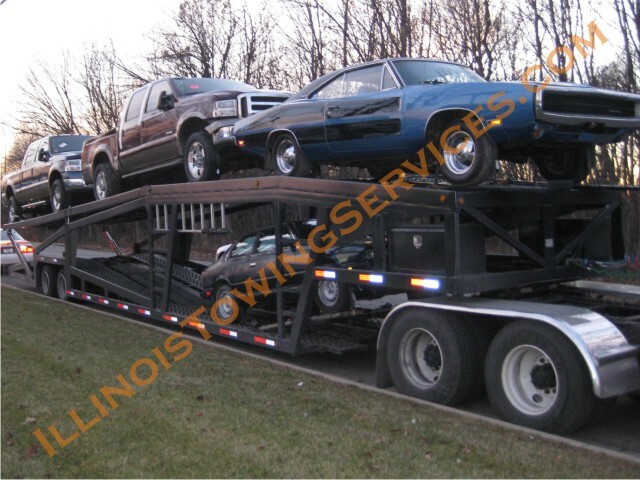 It’s commonly known as “Hotshot car transport” and instead of typical 6-12 open car transport trailers it usually carries only 2-4 vehicles. Vehicle’s mobility is another factor in open car transport pricing. You should always discuss that with the operator since loading the vehicle might require additional equipment, especially if it was involved in an accident and has to be lift truck loaded. 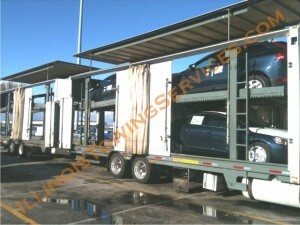 Let’s move from an open car transport over to enclosed car transport. Much heavier on your pocket but with benefits that are most likely appealing to the owners of expensive cars or such that have a sentimental value. Enclosed car transport is usually used for exotic cars, classic cars, luxury line of vehicles, open interior cars, and sometimes motorcycles. Enclosed car moving trailers almost completely eliminate vehicles weather exposure during transportation… well, except for the conditioning part. In most cases enclosed car transporters also carry higher than open car transporters insurance coverage per vehicle except for the weather related damage insurance which is rarely offered. Various enclosed car transport trailers are also specially designed for low clearance vehicle which instead of ramps are being loaded onto the trailers using scissor lifts and lift gates. This assures secure loading, prevents possibility of the undercarriage damage, and keeps the vehicle leveled at all times. Since the limited availability of enclosed car transport the arrangements should be always made in advance to ensure sufficient time for accommodation of your needs.